We have actually installed many of the systems that we sell. On-site service was our claim to fame for the first twenty years. Unlike many other online resellers, we are not selling out of catalogs - or an apartment. We stock nearly every item that is on this website, along with parts and manuals. We have the hands-on experience and industry contacts that you need. We stock parts and supplies. Check out our Better Business Bureau and DUNS ratings. We will have what you need - on the shelf. We have active customers in every state, and nearly every city in the USA and Canada, Hawaii, and more. Excellent service is what we are about. We hold ourselves to a higher standard. Try us. You will see the difference working with professionals can make. We repair hand punch clocks, one day turn-around service. Hand punch repairs for all of Florida, including Saint Petersburg, Tampa, Lakeland, Orlando, Clearwater, Palm harbor, Spring Hill, Inverness, lakeland, Winterhaven, Bradenton, Sarasota, Altamonte springs, Sanford, Deltona, Deland, Gainesville, Ocala, Winter Haven, Chiefland, Brooksville, Starke, St. Augustine, Palm coast, Ormond Beach, Daytona Beech, Melbourne, Palm Bay, Kissimmee, St. Cloud, Fort Pierce, Palm Beach Gardens, West Palm Beach, Boca Raton, Fort Lauderdale, Davie, Hollywood, North Miami, Miami, Haileah, Homestead, Key largo, Key West, Naples, Bonita Springs, Fort Myers Beach, Fort Myers, North Fort Myers, Punta Gorda, Charlotte Harbor, Port Charlotte, North Port, Venice, Siesta key, Sarasota, Manatee, Bradenton, Largo, Pinellas Park, Jacksonville, Tallahassee, Lake City, Panama City, Pensacola. Amano MJR Time Clock repairs, fast one day turn-around service. Time Clock service for all of Florida, including Saint Petersburg, Tampa, Lakeland, Orlando, Clearwater, Palm harbor, Spring Hill, Inverness, lakeland, Winterhaven, Bradenton, Sarasota, Altamonte springs, Sanford, Deltona, Deland, Gainesville, Ocala, Winter Haven, Chiefland, Brooksville, Starke, St. Augustine, Palm coast, Ormond Beach, Daytona Beech, Melbourne, Palm Bay, Kissimmee, St. Cloud, Fort Pierce, Palm Beach Gardens, West Palm Beach, Boca Raton, Fort Lauderdale, Davie, Hollywood, North Miami, Miami, Haileah, Homestead, Key largo, Key West, Naples, Bonita Springs, Fort Myers Beach, Fort Myers, North Fort Myers, Punta Gorda, Charlotte Harbor, Port Charlotte, North Port, Venice, Siesta key, Sarasota, Manatee, Bradenton, Largo, Pinellas Park, Jacksonville, Tallahassee, Lake City, Panama City, Pensacola. 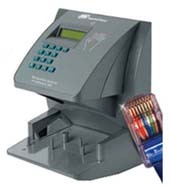 We sell Web Hosted time clock systems, nationwide. PINELLAS Hand Punch Repair Service Belleair, Belleair Beach, Belleair Bluffs, Belleair Shore, Clearwater, Dunedin, Gulfport, Indian Rocks Beach, Indian Shores, Kenneth City, Largo, Madeira Beach, North Redington Beach, Oldsmar, Pinellas Park, Redington Beach, Redington Shores, Safety Harbor, St. Pete Beach, St. Petersburg, Seminole, South Pasadena, Sarasota, Naples, Fort Myers, Tarpon Springs, Treasure Island, Citrus County, Hernando County, Hillsborough County, Manatee County, Pasco County, Pinellas County, Sarasota County, and Tampa Florida are near me. CITRUS Hand Punch Repair Service: Beverly Hills, Black Diamond, Citrus Hills, Citrus Springs, Crystal River, Floral City, Hernando, Homosassa, Homosassa Springs, Inverness, Inverness Highlands, Lecanto, Pine Ridge, Sugarmill Woods. HERNANDO Hand Punch Repair Service: Brooksville, Powell, Masaryktown, Brookridge, Weekiwachee, Spring Hill, Hernando Beach, Bayport. PASCO Hand Punch Repair Service: Aripeka, Crystal Springs, Dade City, Holiday, Hudson, Lacoochee, Land O Lakes, New Port Richey, Port Richey, Saint Leo, San Antonio, Spring Hill, Trilby, Wesley Chapel, Zephyrhills. HILLSBOROUGH Hand Punch Repair Service: Apollo Beach, Balm, Bloomingdale, Boyette (former, now part of Riverview CDP), Brandon, Carrollwood, Cheval, Citrus Park, Dover, East Lake-Orient Park, Egypt Lake-Leto, Fish Hawk, Gibsonton, Keystone, Lake Magdalene, Lutz, Mango, Northdale, Palm River-Clair Mel, Pebble Creek, Progress Village, Riverview, Ruskin, Seffner, Sun City Center, Thonotosassa, Town 'n' Country, University, Valrico, Westchase, Wimauma. MANATEE Hand Punch Repair Service: Anna Maria, Bradenton, Bradenton Beach, Cortez, Ellenton, Holmes Beach, Longboat Key, Myakka City, Oneco, Palmetto, Parrish, Sarasota, Tallevast, Terra Ceia. SARASOTA Hand Punch Repair Service: North Port, Sarasota, Venice, Longboat Key. DESOTO Hand Punch Repair Servicee: Arcadia, Nocatee. HARDIE Hand Punch Repair Service: Bowling Green, Fort Green, Fort Green Springs, Gardner, Lemon Grove, Limestone, Ona, Wauchula, Zolfo Springs. POLK Hand Punch Repair Service Auburndale, Bartow, Davenport, Dundee, Eagle Lake, Fort Meade, Frostproof, Haines City, Village of Highland Park, Hillcrest Heights, Lake Alfred, Lake Hamilton, Lakeland, Lake Wales, Mulberry, Polk City, Winter Haven. SUMTER Hand Punch Repair Service: Bushenell, Coleman, Lake Panasoffkee, Center Hill, Webster, Wildwood. CHARLOTTE Hand Punch Repair Service: Port Charlotte, Punta Gorda, Charlotte Harbor, Charlotte Park, Grove City, Rotonda West, Harbour Heights, Solana, Cleveland. This is a link to our employeetimeclocks.com website. Click here to go there!